Feyenoord have signed Lateef Omidiji Jnr. whose talent earned him a call up to the United States of America’s Under-14 team in November 2016. De club aan de Maas beat off competition from Ajax Amsterdam and a host of other top clubs in Europe, who all scouted the prodigy. Feyenoord, meanwhile, were doing all they could to the secure his services to develop his startling skill. The scooting forward had put in a string of incredible performances for the Under-14 team of Netherlands second division side Dordrecht FC, but had long before then been of interest to Europe’s elite clubs. Omidiji Jnr. will play for Varkenoord before hoping to progress through the Dutch giants’ ranks in the coming years. ''He will be playing with Feyenoord's U15 Academy next season. 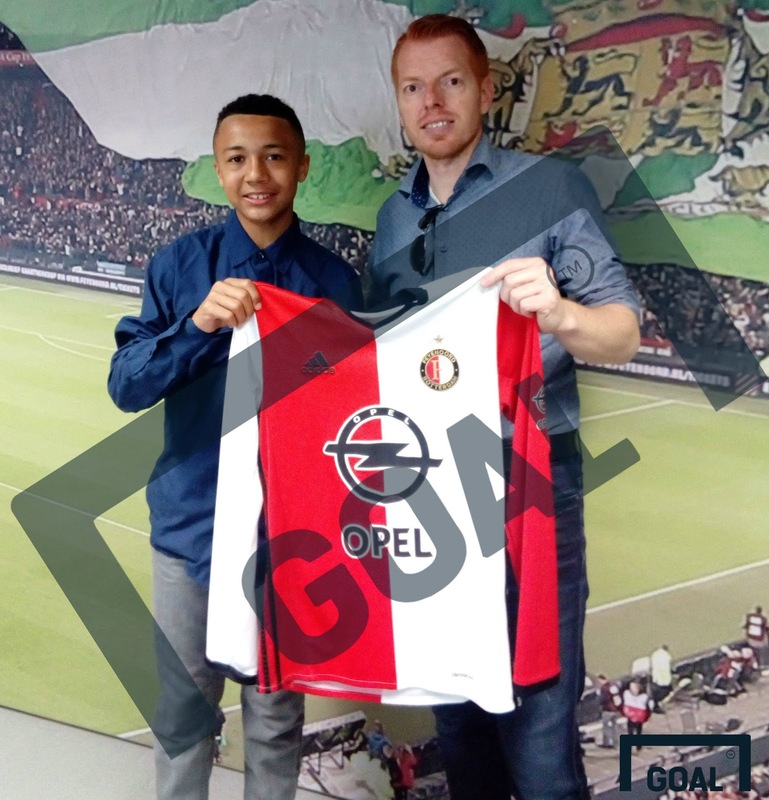 Had offers from the other top clubs but chose Feyenoord to develop as a player,'' his elated father Omidiji Jnr. told Goal. ''The future of Nigerian football is definitely bright- with an eye on the U17 World Cup in 2019. He is fast [nicknamed speedy], strong and has an eye for goals.